I have known Derrick Ferguson a long time as an online friend, and I'm proud to consider him a friend, even if we've never met in real life. For those of you out who think I'm an authority on film, I bow to Derrick as a master. He's given me great writing advice over the years, but none so informative as the lessons I have learned simply by reading his work. There's a story I've told Derrick, and I guess (I'm really thinking positive here) the whole world as well on the GAR! Podcast, about a visual aid I was using at a point where I was trying to write in a pulp style. It was a sign I taped over my desk that read "I want to be Derrick Ferguson when I grow up." That's how well the man knows his genre. Derrick knows pulp, and he knows it so well, he has created a pulp hero for a new age - Dillon. 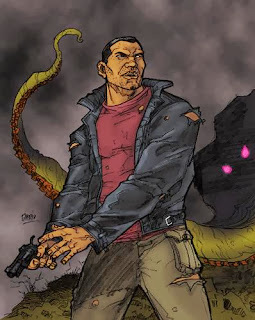 Dillon is a man who would make Doc Savage proud to know him, that's how pulp he is. He is a man of skills, of integrity, of style, of exotic and mysterious background, he's a lover, he's a fighter, and most importantly he is a man of his word. Dillon is that rare entity in this dark world of ours - he is a likable hero we can root for, and a man who will win for the right reasons. 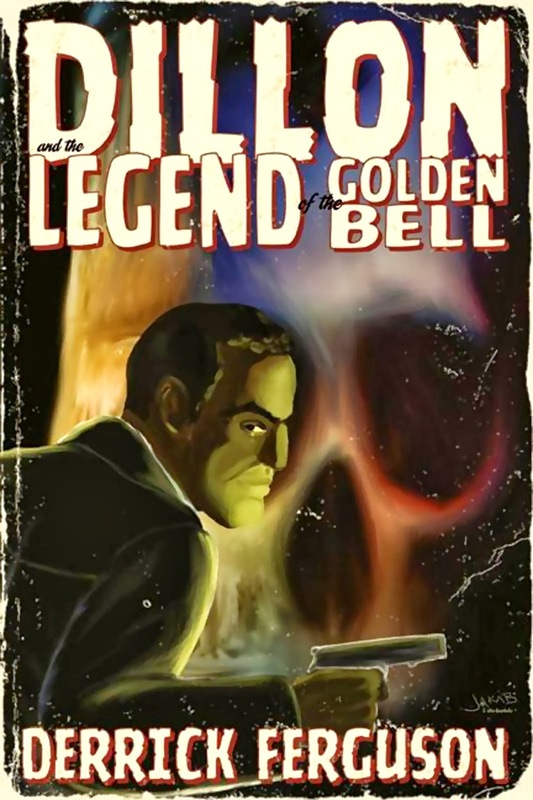 In the second novel (although it doesn't much matter in what order you read the books) in the series, "Dillon and the Legend of the Golden Bell," this pulp hero for a new age faces all the threats and situations that make the genre special. 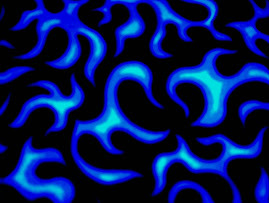 He must find an ancient artifact of great power, stop a civil war in an exotic island nation, and save the entire planet from the coming of a demon, along the way fighting femme fatales both human and shape-shifting, jet pack soldiers, warring airships, giant barbarian kings, and old fashioned tough talking gangsters. This was a hoot. When was the last time you read a book that was fun? When was the last time you read a book where you cheered out loud for the hero? Where you hissed the bad guys? Where you laughed at the quips of the good guy? This is the book (books), and the hero for you. 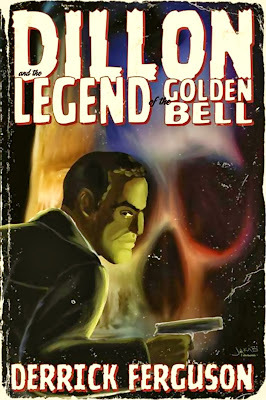 Check out "Legend of the Golden Bell," and the rest of the books in the series, as well as all of Derrick's other work. It, and he rocks. Halloween at Biff Bam Pop! Arrow S02 E03: "Broken Dolls"
Marvel's Agents of S.H.I.E.L.D. at Biff Bam Pop! The Dumpstas Tonight - OctoberFist VIII! Arrow S02 E01: "City of Heroes"